We love it when the Royal Family goes on an international tour. Well, more specifically when Prince William and the Duchess of Cambridge go on an international tour, and they bring Prince George and Princess Charlotte with them. 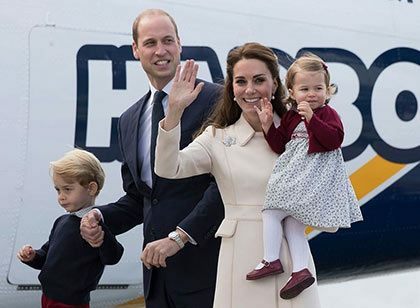 Because it tends to be just as the popular family disembarks the plane together that we see some of the best moments from the junior royals. Like Prince George's post-flight sulking face, for example, and teeny tiny Princess Charlotte's first attempt at a curtsy on the world stage. SO CUTE. But in theory, we shouldn't actually be seeing these post-touch-down moments at all. Why? Because it turns out Prince William isn't really supposed to travel on the same plane as George and Charlotte, according to royal protocol. 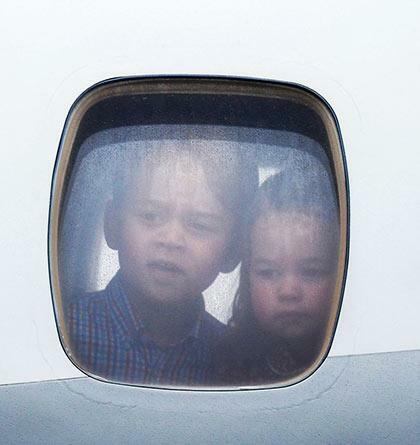 And for that matter, George and Charlotte shouldn't really be traveling on the same plane, either. It's all down to an unwritten rule that two royal heirs should never fly on the same flight together. The rule, although not official, has been followed over the years by the family in order to protect their royal lineage should anything happen to the plane. Prince William is second in line to the throne—just behind his father Prince Charles—while Prince George is third in line, and Princess Charlotte is fourth. For this reason, it would usually frowned upon for three heirs to the throne to travel on the same aircraft. But following the birth of Prince George back in 2013, Prince William sought special permission from the Queen to break this tradition, and allow George to accompany him and Kate on their royal tour to Australia and New Zealand in early 2014. The BBC reports: "While there is no official rule on this, and royal heirs have traveled together in the past, it is something that the Queen has the final say on." The reason the rule has been relaxed in recent years is because of the increased safety in the aviation world. In decades gone by, flying was considered a much more risky mode of transport than it is today, hence measures like this were put in place to protect the line of the throne. 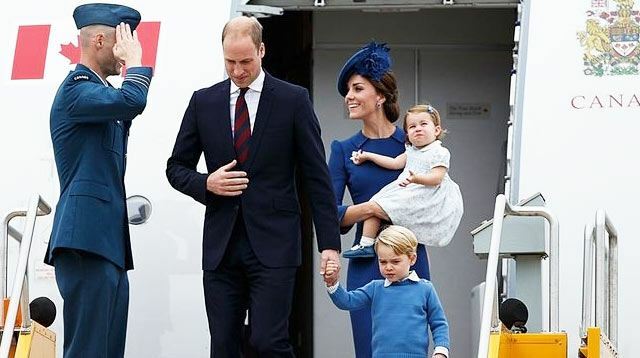 But with the arrival of Princess Charlotte in 2015, William and Kate have evidently continued to disregard the rule on numerous occasions, having traveled all around the world. You do you, William and Kate.